A video supposedly taken in China has revealed the first Windows powered Nokia handset the Sea-Ray. 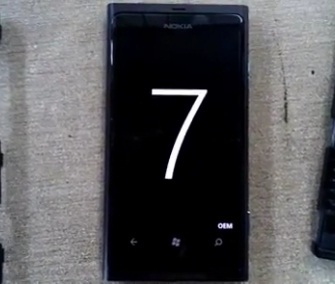 The handset was previously leaked and was shown by Nokia CEO Stephen Elop himself and looks somewhat like the MeeGo powered N9. The video doesn’t show anything fancy just the startup and a bit scrolling. Offcourse the device is a prototype, but it makes one thing clear, Nokia is all ready for WP 7 handsets and we might see the Sea-Ray hitting the markets soon.